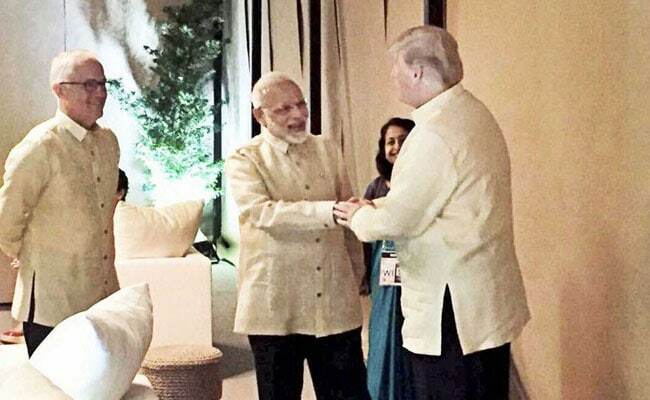 31st ASEAN Summit: PM Narendra Modi met US President Donald Trump on Sunday. Prime Minister Narendra contributed two Indian rice seed varieties to the gene bank of the international rice research centre in the Philippines which he said is working towards mitigating global poverty and hunger by improving the cultivation of the key grain. 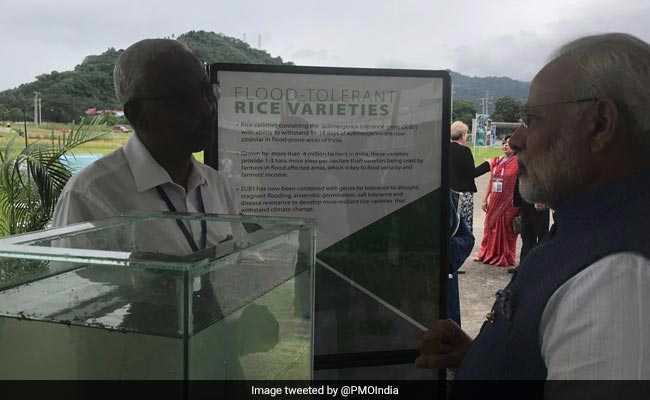 PM Modi visited the International Rice Research Institute (IRRI) in Los Banos, an urban locality situated at a distance of around 65 kms from Manila -- the capital of the Philippines -- and interacted with a large number of Indian scientists working there. the US and the world and also thanked the US President for speaking "highly" about India during his trips. "The cooperation between India and US can rise beyond bilateral cooperation and both countries can work for the future of Asia and the world...We are moving ahead together on many issues," PM Modi told US President in his opening remarks. 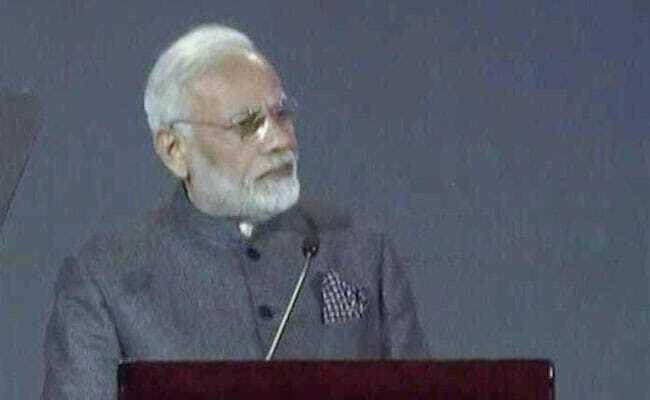 Addressing the Indian community in Manila, PM Modi said his government is making efforts aimed at transforming India and ensuring everything in the nation matches global standards. "India has always contributed to world peace. Our contingent in the UN Peacekeeping Forces is among the biggest. India is the land of Mahatma Gandhi, peace is integral to our culture," he said. Prime Minister Modi said the task of transforming India is proceeding at an unprecedented scale and that the government is working day and night towards easy, effective and transparent governance. He further said that large sections of India's population did not have access to banking services but the Jan Dhan Yojana changed that in a matter of months and transformed the lives of millions adding that most sectors of the Indian economy are open for foreign investment. "Keeping our emphasis on 'Minimum Government, Maximum Governance', about 1200 outdated laws have been repealed in the last three years. We have simplified processes to start companies and for other clearances," he said. 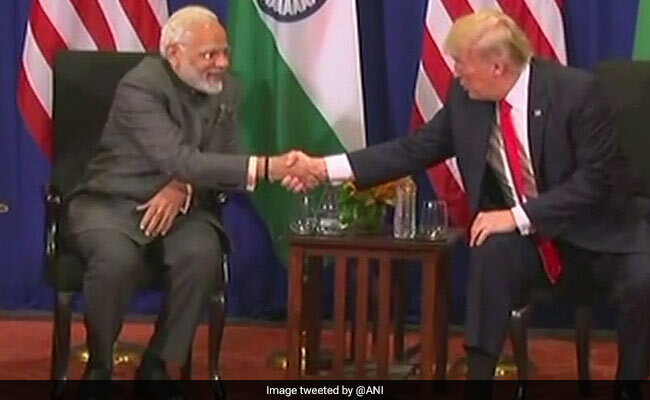 Describing PM Modi as a friend and a 'great gentleman', President Donald Trump said that a lot of issues were addressed in their meeting today and added that the two would continue to work together. "PM Narendra Modi is here we had met at the White House before. He has become a friend of ours. He's doing a great job. A lot of things were solved and we will continue to work together," Trump said. The US president also said that PM Modi was doing a fantastic job by bringing lots of factions in India together. PM Modi and POTUS discussed a range of key issues including security scenario in the region and ways to boost bilateral trade. Earlier, President Trump, on the sidelines of the ASEAN meet, praised India as a sovereign democracy with a population of over 1 billion as well as the largest democracy in the world. Washington has been favouring a larger role for India in the strategically important Indo-Pacific region. "Relations between India and US are growing. 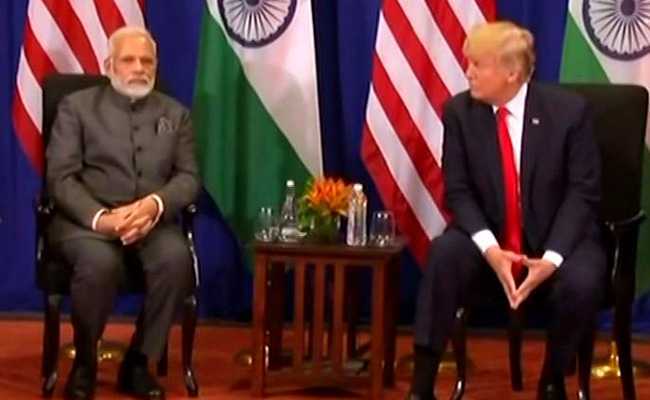 Our relations go beyond, we are working for future interests of Asia and humanity," PM Modi said during the bilateral meet with POTUS, ANI reported. PM Modi is holding a bilateral meet with US President Donald Trump on the sidelines of the ASEAN summit. According to the MEA, India's engagement with ASEAN and wider Indo-Pacific region has acquired momentum after India made its relations with its East Asian neighbors a foreign policy priority under Prime Minister Shri Narendra Modi's 'Act East Policy' introduced at the 12th ASEAN-India Summit and 9th East Asia Summit in Myanmar in November 2014. Apart from the world leaders and government officials from ASEAN nations and the dialogue partner countries, businessmen from across Southeast Asia will participate in the Summit through the ASEAN Business Advisory Council (ABAC). The business leaders can share their feedback with the ASEAN to integrate economy of the member countries. 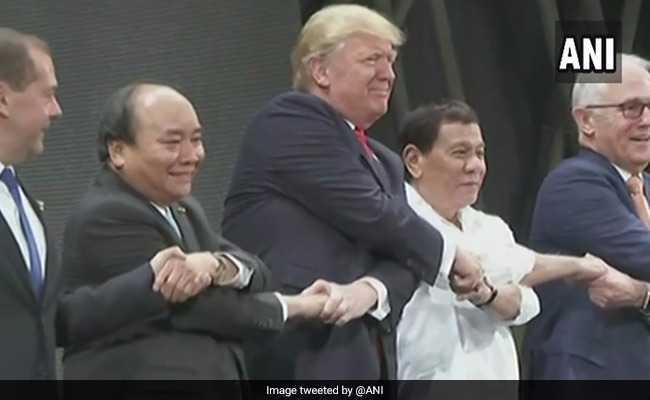 Talks were held in Manila on Sunday on the sidelines of the semi-annual ASEAN Summit as India, the US, Japan and Australia got together to revive an alliance called the Quadrilateral. The four countries met "for consultations on the issues of common interest in the Indo-Pacific region," the foreign ministry said in a statement. military build-up in South China Sea, a huge source of hydrocarbons. While China claims sovereignty over all of the South China Sea, several ASEAN member nations including Vietnam, the Philippines and Brunei have counter claims.However, the section on the South China Sea dispute has been left out in the November 11 draft of the Chairman's Statement to be issued at the end of the ASEAN Summit, ANI reported. It is being speculated that the ASEAN leaders may leave the dispute up to Philippines President. As he attends various summits during the Manila visit, PM Modi is likely to reassert India's global push to deal with terrorism apart from pitching suggestions to boost regional trade. The theme for the ASEAN Summit this year is "Partnering for Change, Engaging the World." Security and regional integrity will be among the key issues during the summit for the world leaders. ASEAN, the regional intergovernmental organization, is celebrating 50 years of its existence this year. World's seventh largest market and third-largest labour force, ASEAN has matured into a community that focuses on economic integration and growth. PM Modi is scheduled to visit the 15th India-Asean Summit and the 12th East Asia Summit in Manila tomorrow. He is also expected to meet world leaders on the sidelines of the summits. On the second day of his three-day Manila visit, PM Modi arrived at the MPFI to "demonstrate India's support for its activities in distributing free prosthesis "Jaipur Foot" among the needy amputee," according to his official website. 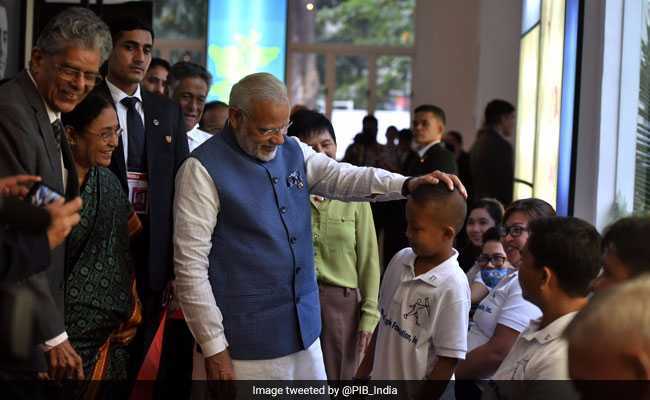 At the foundation, PM Modi met 9-year old Carlo Migel Silvano from Bulakan province, who is one of thousands of people in Philippines fitted with the Indian-made 'Jaipur Foot', MEA spokesperson said. 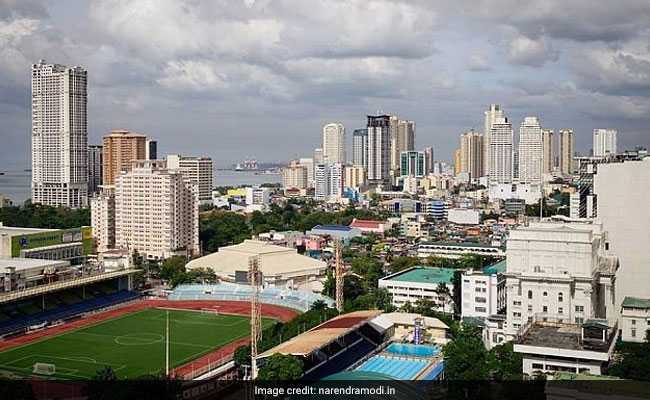 MPFI, a long running humanitarian cooperation programme between India and the Philippines, was set up by Indian-origin Mayor of Manila Dr. Ramon Bagatsing. About 750 amputees benefited from the programme in 2017, the PMO said. The bilateral meeting between PM Modi and POTUS is scheduled for 15:30 pm local time (1 pm IST). The two leaders are expected to discuss a number of key issues during the meet, including the security situation in the Indo-Pacific region. PM Modi is scheduled to visit the Mahavir Philippines Foundation Inc ahead of the meeting. After the official opening of the 31st ASEAN Summit, PM Modi visited the International Rice Research Institute (IRRI), which is working towards developing better quality of rice seed and addressing food scarcity issues. "A large number of Indian scientists are working in IRRI and contributing to R&D in these areas," the Prime Minister's Office said. The IRRI has its headquarters in Los Banos, Laguna. The 31st ASEAN Summit officially began in Manila today. 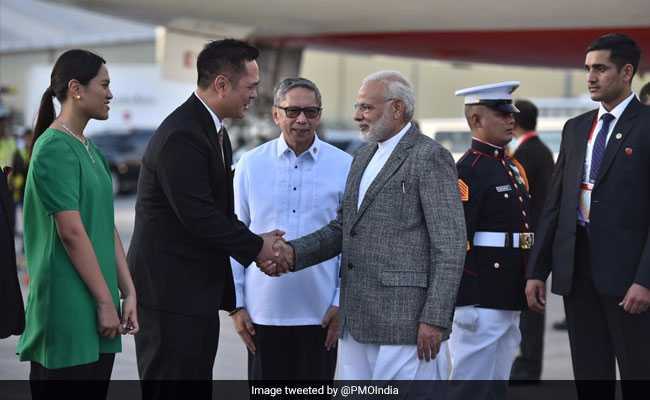 PM Modi and leaders from other countries gathered to attend the colourful opening ceremony at the Cultural Centre of the Philippines in Pasay City. Philippine President Rodrigo Duterte, who chairs this year's ASEAN Summit, officially opened the ceremony. 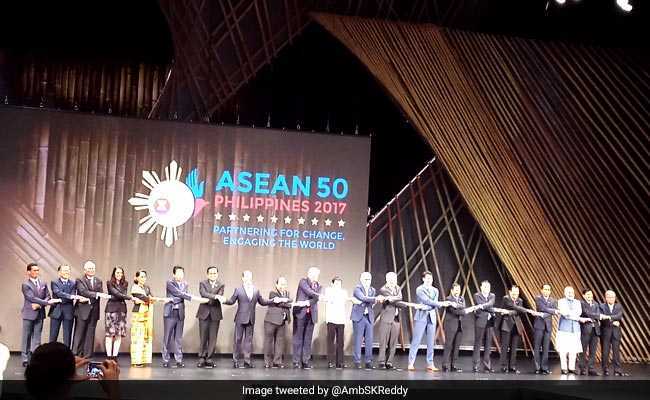 "India cherishes the strong ties with the @ASEAN family," PM Modi tweeted. ASEAN is celebrating "50 years of robust cooperation," the post further mentioned. 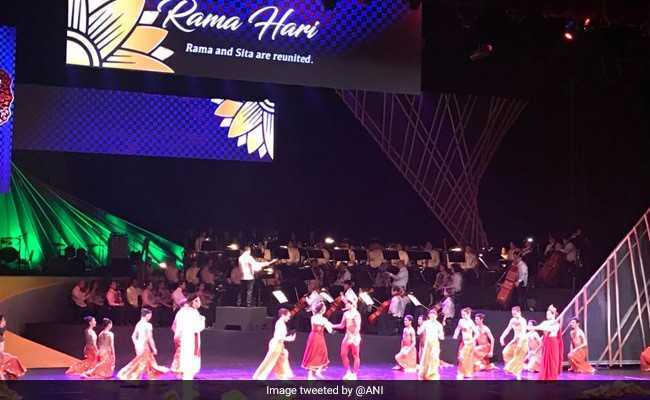 Ballet company Rama Hari presented a musical version of Hindu epic Ramayana, a "shared heritage among the ASEAN member states," said the Ministry of External Affairs spokesperson. Various parts of the Hindu epic were "beautifully highlighted" in the musical performed at the opening ceremony, PM Modi said on his official Twitter account. 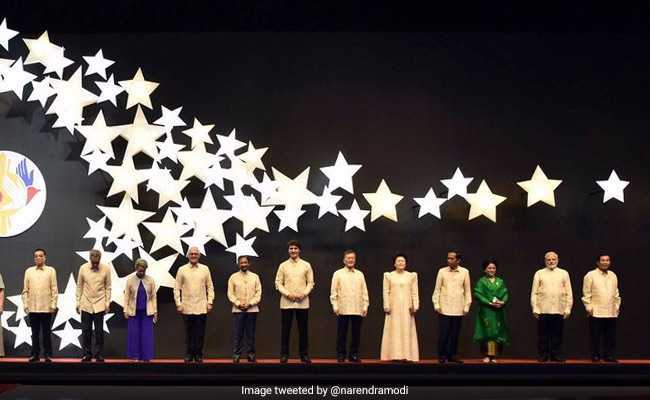 PM Modi also attended a gala dinner with world leaders in Manila on Sunday and tweeted an image. The official spokesperson of the Ministry of External Affairs (MEA) Raveesh Kumar tweeted highlights of PM Modi's Day-1 in Manila. 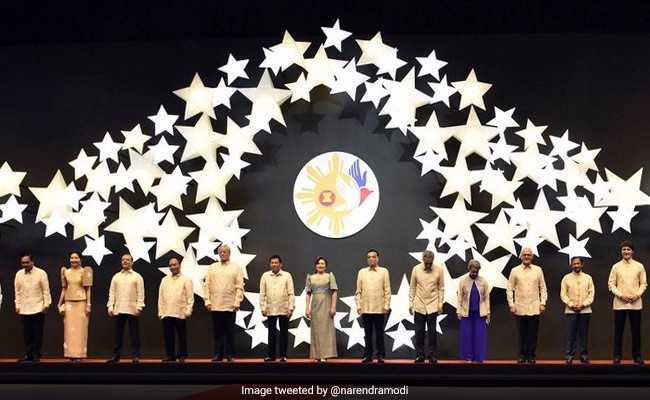 World leaders can be seen at the opening ceremony of the 31st ASEAN Summit in Manila, Philippines today.